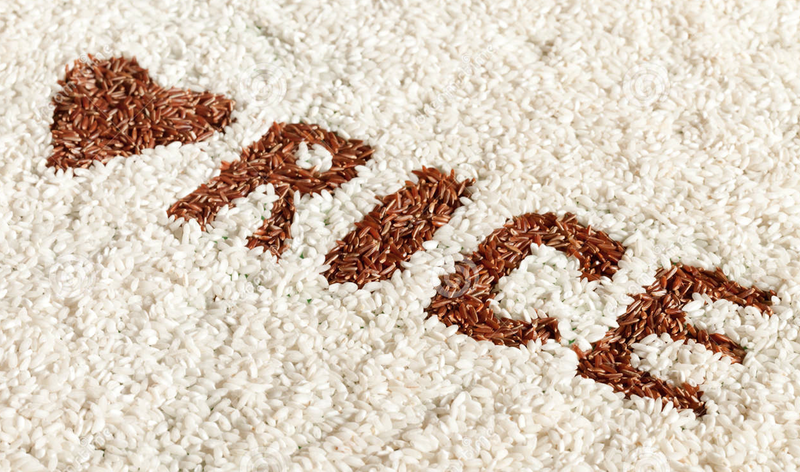 Anyway who knows me well enough, knows that I love love love rice! 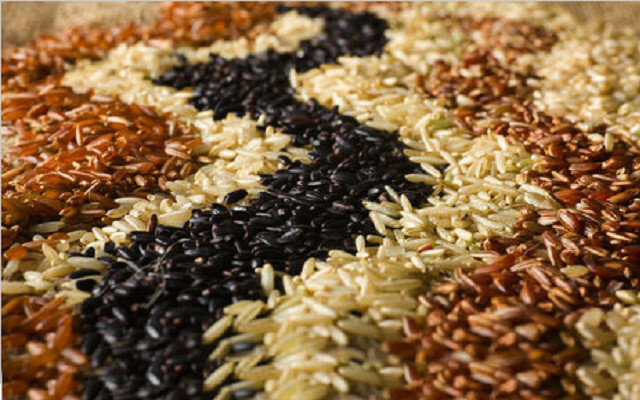 White Rice, Wild Rice, Black Rice, Rice Salad, Fried Rice, Rice pudding and the list goes on and on! I blame it on my dad <3. 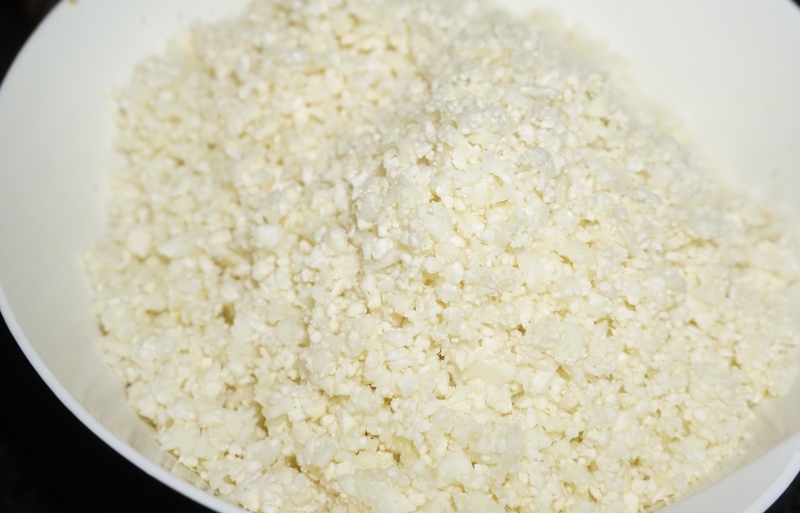 Although he was born in northern Italy, he was raised in Tianjin, China and during our childhood, rice was always on the table! Its so simple and easy. 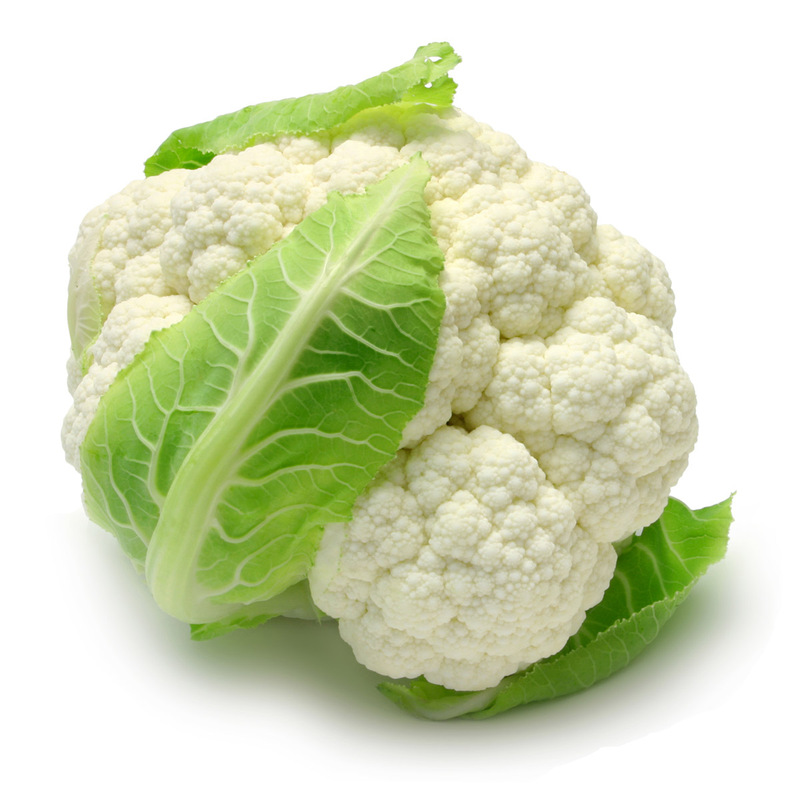 Just grab a head of cauliflower, get rid of the leaves and stalk and chop the florets in to manageable pieces. 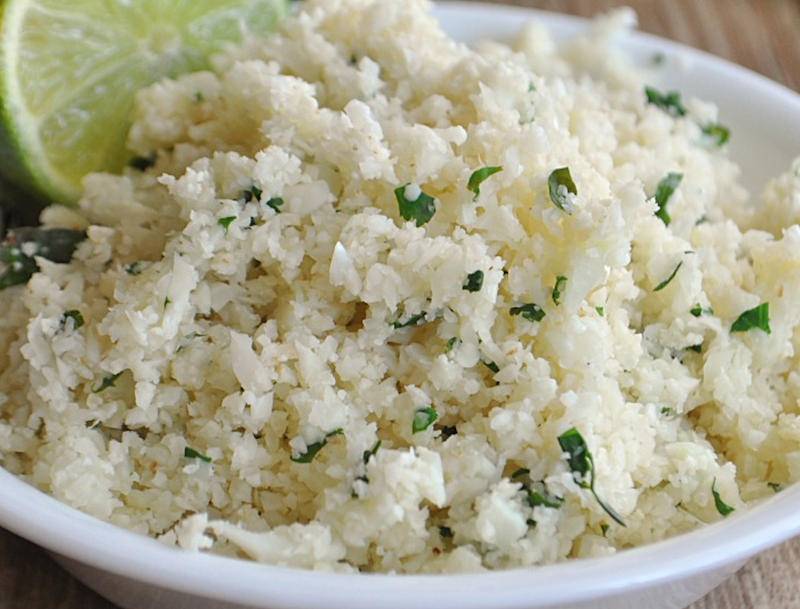 Place in a food processor and give it a quick whiz! Not too long as you don’t want it to turn into a gooey paste! Now its time to put it into good use. 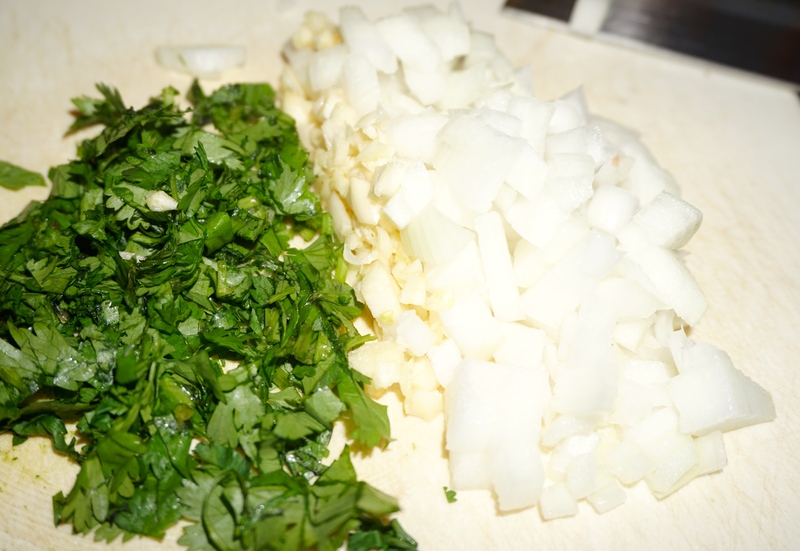 I chopped up some garlic, ginger, onions and cilantro. I sautéed the first 3, I found 2 Uruguayan Chorizos in the fridge that I had cooked a few days ago (leftovers) and I chopped them too and added them to the pan. 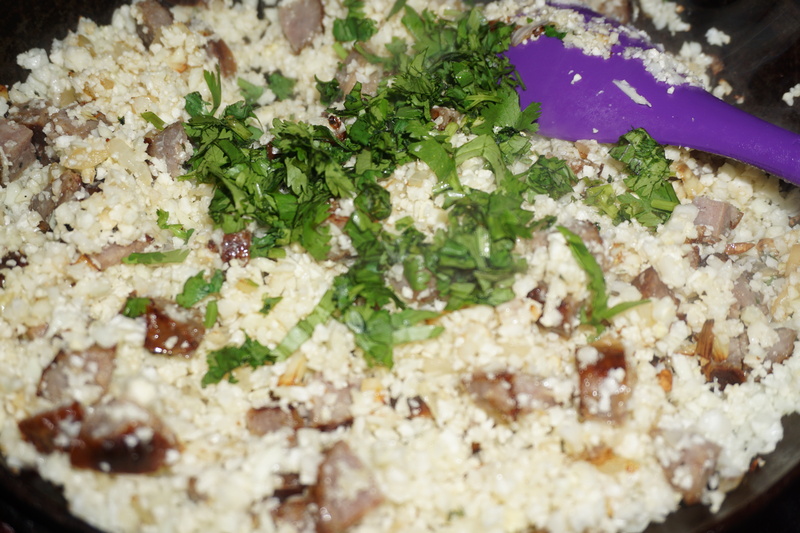 Finally I added the cauliflower rice and cilantro and gave it all a quick toss. Seasoned in with salt and pepper and added some red pepper flakes and now it was time to taste it! My daughter walked into the kitchen claiming she was hungry just as I was serving myself so as a good mama, I gave it to her and guess what? She liked it! 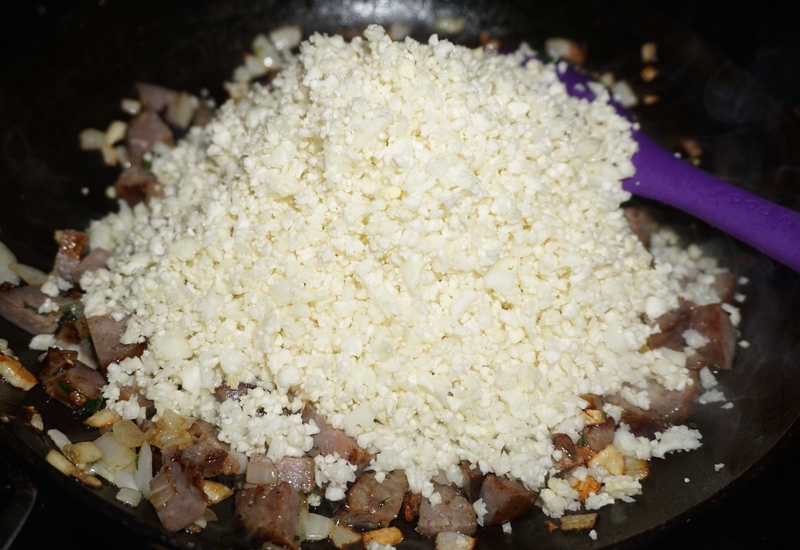 Place chopped garlic and rice in a pan and cook into nicely golden. Then add the chopped cilantro and juice of a lime. I added some more lime juice as I really like lime!